The show stars Saif Ali Khan and Nawazuddin Siddiqui in the lead roles. The petitioner has to submit its clarification by Thursday, which is when the bench will hear the matter again. 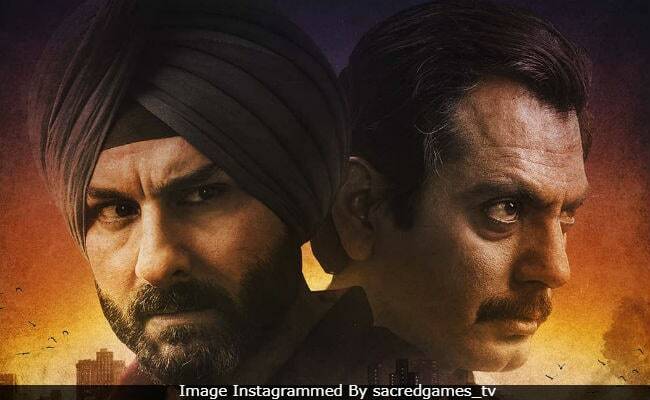 Nikhil Bhalla, a Delhi-based lawyer, has filed a petition against Netflix and Phantom, the producers of "Sacred Games", for the use derogatory language against former Prime Minister Rajiv Gandhi. Mr Bhalla has also demanded removal of two "offensive" scenes, and three objectionable remarks (including subtitles) against the former prime minister and his family. The show, starring Saif Ali Khan and Nawazuddin Siddiqui, "incorrectly depicts historical events of the country like Bofors case, Shah Bano case, Babri Masjid case and communal riots", he said in his petition. The court has asked the petitioner to first clarify if the matter is one of public interest or personal injury, and if the latter, whether it should be admitted as a Public Interest Litigation (PIL). If the matter is admitted, is judicial interference needed, the court asked the petitioner. Netflix had already changed one of the subtitles before Congress President Rahul Gandhi tweeted in favour of "freedom of speech" and dismissed the language used in the show. Another petition against the show, filed by a Congress member in Kolkata, has been withdrawn after Rahul Gandhi's tweet. "Freedom of speech is the touchstone of our Constitution, courts have historically and repeatedly held the same," Ameet Naik, the lawyer for the producers of "Sacred Games", told NDTV, expressing confidence that the court will do so again in the case. The series is based on author Vikram Chandra's 2006 novel by the same name. It has been directed by Anurag Kashyap and Vikramaditya Motwane.